MANILLA – Lotto winners in the Philippines may soon see a portion of their winnings shaved of by the taxman, unless the government listens to the Sweepstakes Office’s pleas. On February 28th Jose Jorge E. Corpuz the chair of the Philippine Charity Sweepstakes Office (PCSO) said that his department opposes a new proposal to drop the tax exemptions currently available on winnings from lotto, sweepstakes and horse-racing. 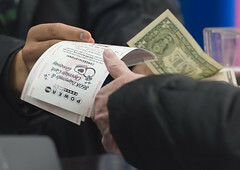 If the proposal is passed, winnings would see taxes of up to 20 percent. Jose Jorge E. Corpuz claimed that the number of people participating in lotto and similar activates would drop significantly after consumers felt the effects of the tax on their winnings.